I’m in love with this sweater from C Wonder. I have really gotten into Critter sweaters, and am looking to develop my formal sections in closet, which should include cute sweaters. As I am completing my academic wardrobe, I have found many areas where my current closet isn’t formal or classy enough to wear to work as a teacher. By simply putting a collared shirt under a cute sweater, I am now fancy enough for work! I read the Divergent series last year when they were published. I love post-apocalyptical plots, so when I saw it featured last year on Amazon I snapped it up on my Kindle. Today, I saw that Hulu had a trailer for the movie’s release next year in early 2014. I loved the books so I hope they do a decent job on the movies. Have you read the books? Are you excited to see the movie? 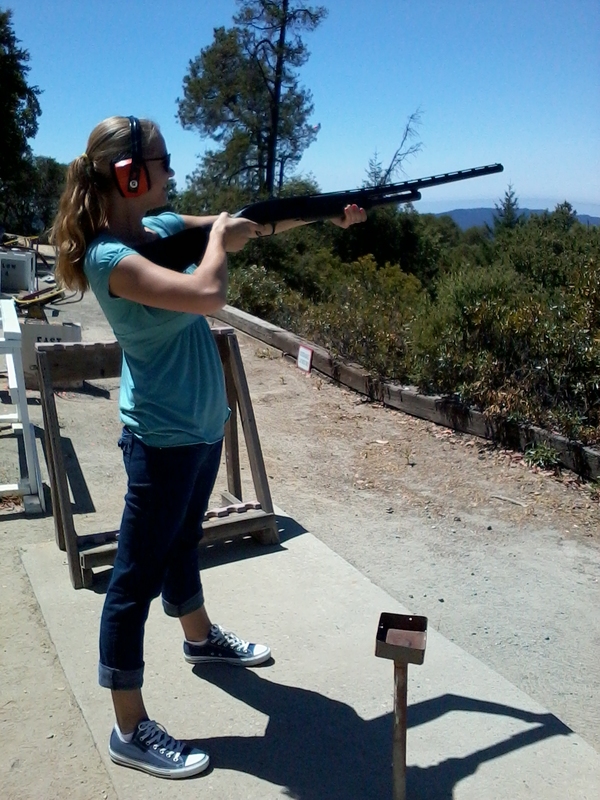 Last week I went to the range with a friend and I learned how to shoot 2 pistols and a shotgun. Going to a range was something on my bucket list, so I felt the need to document this glorious event. My bucket list has been a recent topic among some of my friends. There seem to be two camps, one that agrees with my organised plan on how to live a full live. The other camp disagrees, and thinks that I should just live the life that happens, and live spontaneously. What do you think? Do you have a bucket list? What is on it? Anything I should add to mine? Ahh I just finished Divergent last week and hadn’t seen the trailer yet! So exciting! Now Insurgent just needs to get here from Amazon!!! I loved Insurgent as well. Enjoy it!